Companies in your region can use TrueJob’s analytics dashboard reports to determine which job postings are most effective at attracting more, higher quality candidates. Smaller companies without advanced recruiting tools can use TrueJob’s Applicant Tracking Module to manage the candidate evaluation and interview process. Watch our video to see how your chamber of commerce can provide more value to your community, attract more sponsorships and funding, and increase website traffic. 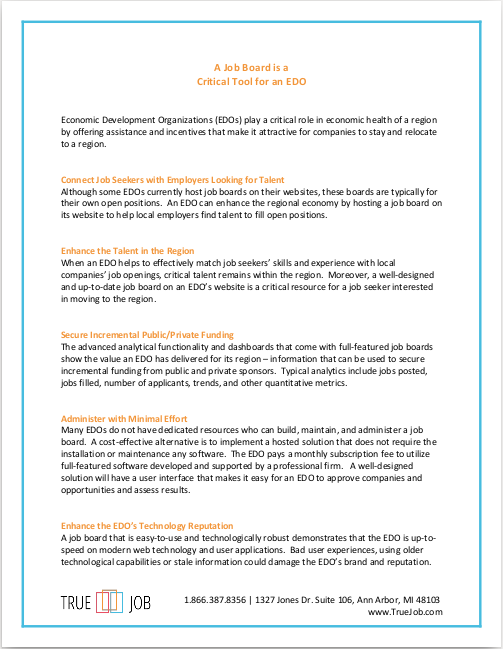 Considering a job board for your organization’s website? Learn about the eight key requirements you need for success. 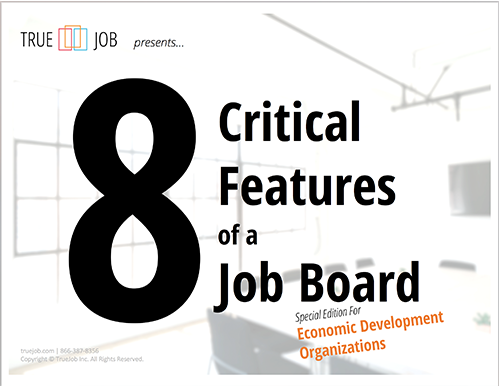 Read our concise overview of how a job board can be a strategic tool that translates into more sponsorships and funding for your Chamber of Commerce.